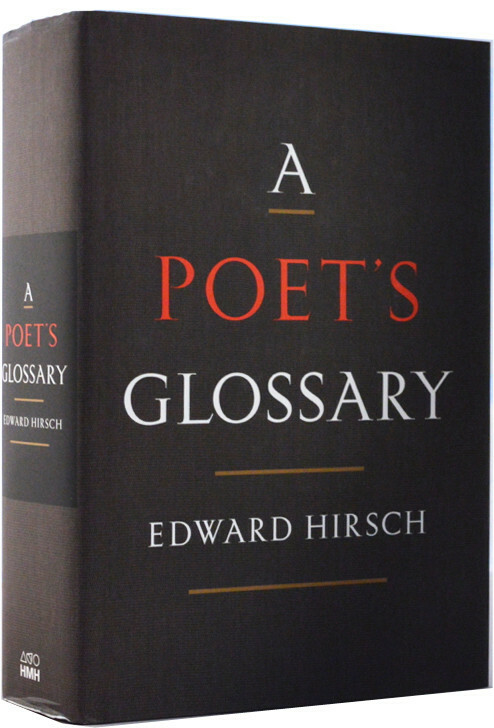 “Many of the very greatest poems seem as if they were written in blood,” Edward Hirsch once wrote. So it is with his magnificent, harrowing Gabriel (2014), a book-length poem that anatomizes Hirsch’s grief over the death in 2011, at the age of twenty-two, of his son. Gabriel is an elegy, a confession, a howl. It’s a poem steeped in literary history but also fluent in contemporary idiom and reference (the poem’s epigraph comes from a Blink-182 song). Reviewing it feels intrusive — like reviewing a eulogy. Yet I also imagine that Hirsch, always a passionate advocate for “a participatory poetics”, understood that in publishing such a personal work, each new reader would, in a sense, encounter Gabriel alive once more; the creative act of reading would have a resurrective aspect. In How To Read a Poem and Fall in Love With Poetry (1999), he wrote that “The lyric poem seeks to mesmerize time. It crosses frontiers and outwits the temporal. 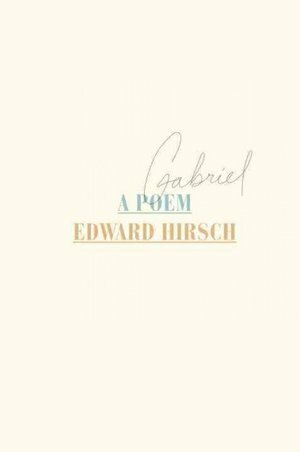 It seeks to defy death, coming to disturb and console you.” In Gabriel, Hirsch has written a poem that explores how far this concept of poetry might go. In an article in The New Yorker, Hirsch said that he liked how “the fast alternations of tone and subject seemed to evoke the willfulness and impulsivity that were hallmarks of Gabriel’s temperament”. In this excerpt, one can also see how the lack of punctuation perpetually creates small pockets of syntactical possibility as clauses extend both forwards and backwards in time. It creates, in Hirsch’s own words, “a dialectic of hesitation and flow”. It’s a generative, vital style. A word on the verse form itself. In How To Read a Poem…, Hirsch describes the tercet, or three-line verse, as being distinguished by each stanza’s having a beginning, a middle, and a end. “The number three,” he adds, “also has magical residue.” In A Poet’s Glossary, published, like Gabriel, last year, his definition changed, albeit only slightly: “The number three has always had magical significance” (my italics). It’s tempting to read this edit biographically, to link the additional emphasis to the prevalence of the number three in Gabriel. The poem is entirely composed of tercets. Gabriel has three epileptic seizures as a child. If it’s not too fanciful, one might even make out the ghost of a Holy Trinity in the presence of son (Gabriel), father (Hirsch), and holy spirit (the poem?). There’s also the traditional linking of threes to luck, good and bad: Gabriel experienced both. Finally, while Hirsch doesn’t go as far as to adopt a rhyme scheme, the tercet has a filial relationship with the Dantean terza rima, and thus an ancestor in the Underworld. Magical significance indeed. The fragments that Hirsch mentions are the poetic shards that make up Mallarmé’s unfinished Pour un tombeau d’Anatole, and they’re a metaphor for the life he led after Anatole’s death. It was an event he could neither “right” nor write. Death’s cruel suddenness and finality can be seen in the line break between “Ailing in springtime / Mourning in winter”; its surreality is there in “Treacherous blow of death / Ridiculous enemy”. Gabriel is itself built of fragments. As Alec Wilkinson has noted, much of the poem derives from the notebook Hirsch kept in the months after Gabriel’s death, in which he recorded his memories and feelings. Hirsch acknowledges also the debt he owes Joseph Straw, Gabriel’s best friend, from whose off-the-cuff eulogy he borrows. At some length, he quotes the autopsy report (“The body is of a well-developed well-nourished / Average frame 182 pounds 70 inches / White male”, and so forth). Every page bears ten tercets, and often — as with the section on Mallarmé — they comprise a single complete thought or conceit. But the effect is never haphazard. It’s rather that one sees and experiences Gabriel cubistically. The planes of his existence — how he appeared to his father, how he was seen by his friends, the specialist opinions given during his life, the medical facts of his death — are all rendered in such a way as to offer as near complete and non-judgmental a portrait as one can imagine. They are often saccadic glances, yes — the “revolving doors / Where his reflection turned” — but they’re vivid and feel true. Of course a man is greater than the sum of his utterances, preferences, and behaviors; but Gabriel’s hidden depths are evident in all that surprises his father about him. Edward Hirsch will appear at our Seriously Entertaining show Summertime Blues on June 15 at City Winery NYC. You can buy tickets here.